Maid Too Clean offers everything from basic standard cleaning and one-time cleaning to whatever your custom cleaning needs are. What’s more is that we use eco friendly EcoLogo certified cleaning products, ensuring a reduced environmental impact. At Maid Too Clean, we will work with you no matter the frequency or scale of your requests. Whether you’re moving into a house, staging it, renovating it, or you require professional scheduled cleaning services at your office, our team of cleaning professionals do their most thorough work to the highest standard as trained by us. We guarantee courtesy, integrity, and honesty at all times. 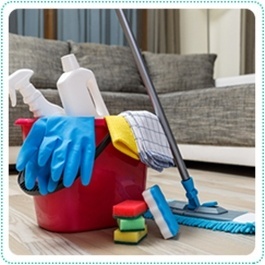 Maid Too Clean offers scheduled services for regular cleaning of homes and condos. 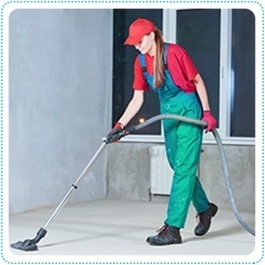 We offer special packages for weekly, biweekly and monthly cleaning. Choose a schedule that works for you and we’ll have our trained staff come in and do their job without disrupting the daily dynamics of your home. Dishwasher loading, emptying the trash, bathroom cleaning, vacuuming, dusting and light organizing are just a few of our many services that you can choose. In the business world, it’s important to have a clean and presentable facility. It shows professionalism and that you care about both your customers and your employees. For employees, a simple way to ensure motivation and productivity is to have a clean and clutter free space to work in. Employees feel taken care of and have no disruptions when they are in a clean and organized space. Maid Too Clean implements the best practices to provide safe working solutions for cleaning your office and commercial spaces. When transitioning homes or purchasing your first home, we know it can be a very stressful time with so many things on your mind. 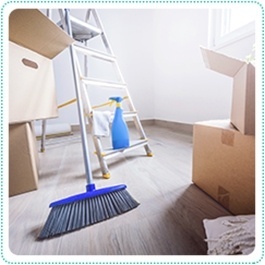 We do many move in and move out cleaning services to ensure the house is clean and ready to move in. Never underestimate the need to present a clean and healthy environment to a potential home buyer when selling your home - it could possibly increase the home’s value. We will work with your stager, agent or you to get the home ready to be staged. Leave it to us to present a pristine canvas for your home stager or real estate agent, giving you the potential to earn top dollar for your home. When we leave a post-construction home, you can be assured the home will be free of any light construction debris. 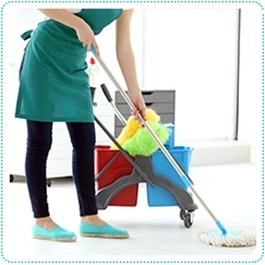 We clean and remove as much dust as possible in all cupboards, drawers, closets and open areas. Our deep cleaning ensures the removal of as much paint stains as possible on floors and cabinetry. Upon completion, we will have your home or business ready to move in. Vacation rental cleaning comes with its own checklist and is designed to prepare your home for the next guest. Linen and towels need to be changed, the bathroom needs to be spotless and sanitized thoroughly, and the house must be overall picture perfect for your next guest to feel at home in a clean and comfortable environment. Besides, is there any better way to welcome a vacationer than having a spotlessly clean home to walk into? 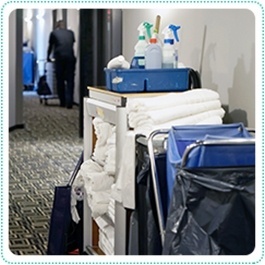 A Maid Too Clean environment goes a long way towards a good experience for both the owner and the vacationer. This is one key aspect to ensure better ratings from your customers, leading to a higher rate of asking price and preferred scheduling. Contact us on 647 341- MAID (6243) and talk to our friendly representatives about your requirements and how we can help get your house Always Maid Clean! Maid Too Clean provides professional cleaning services across Etobicoke, Downtown Toronto, Mississauga, Vaughan and North York. Cleaning professionals at Maid Too Clean offer cleaning services at affordable rates to clients across Etobicoke, Downtown Toronto, Mississauga, Vaughan, North York.